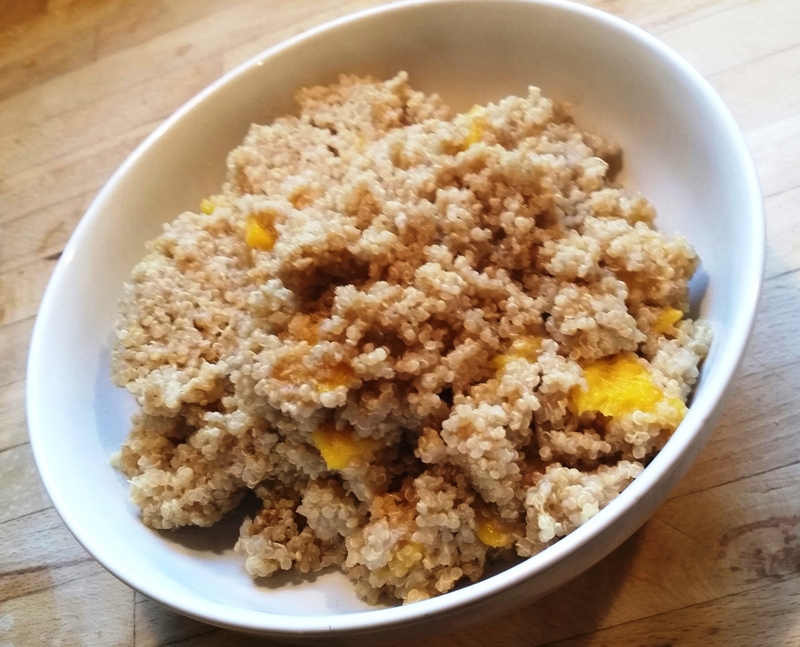 Coconut Mango Quinoa | Mommy. Foodie. Athlete. 1. In a small sauce pan, bring coconut milk and enough water to make the total volume of liquid 2 cups (This either requires some math or measuring, but you want a total of 2 cups of liquid, so depending on the size of your coconut milk can the water amount will vary) to a boil. 2. Add quinoa, stir, and cover. Cook for 15 minutes or until all liquid is absorbed. Stir in mango and salt to taste and serve.